The Tot Founder and mama of two, Nasiba Adilova, shares her 10 must have items all new parents need. From a four position baby carrier to a soothing device that literally and figuratively “shushes” your baby, these gifts are total winners. One of the things expecting parents ask me the most is: “What do I really need during the first year with a baby?” While there are numerous products I could recommend and positively rave about, I’ve narrowed down the list to 10 items I truly couldn’t have lived without. Whether you’re shopping for the holidays, a new baby or a baby shower, I promise you can’t go wrong with any of the below 10 gifts! The thing I love the most about the Ergobaby Four Position 360 carrier is the fact that you can continue to use it until your child is 33 lbs, which means toddler piggy back rides just got way easier. I also love that it’s machine washable, lightweight and a total life-saver at home or on the go. 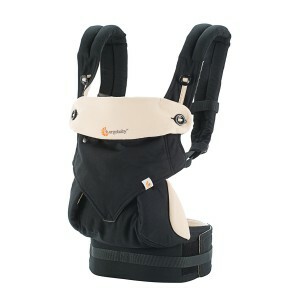 A new take on a classic design, the BabyBjorn Bouncer lets little ones safely sit and observe the world around them while you eat, shower, get dressed, take a phone call, read a book, or simply take a deep breath. In my world, swaddles get used almost every minute of everyday. Not only wonderful for swaddling your baby for a nice and cozy sleep, they’re great for use as a breastfeeding cover, burp cloth, tummy time blanket, shade cover, scarf, and even as a wall tapestry. 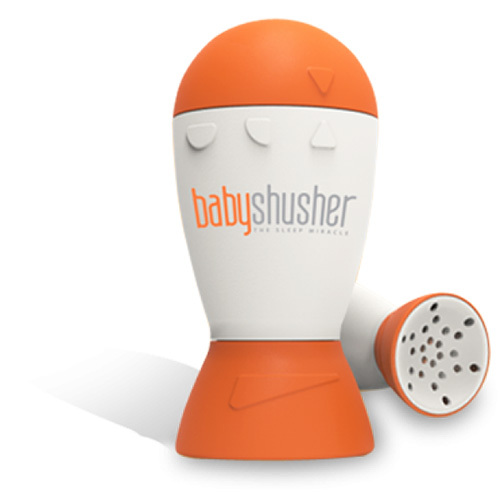 This little Baby Shusher device truly is a miracle worker. 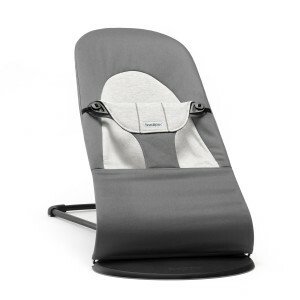 Designed by a doctor to recreate the shushing sound babies hear while in the womb, it audibly soothes your baby to sleep no matter where they are: crib, stroller or car seat! Worrying about your child is one of the many joys of motherhood. And worry, I do! 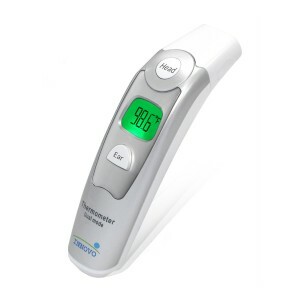 However, I feel so much better when I have the Innovo Thermometer on hand to help make sure my child’s fever isn’t at a concerning level. Extremely quick and accurate, it can be used on the forehead or ear. 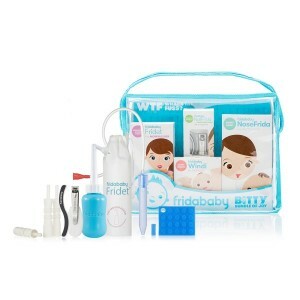 Fridababy knows about every gripe a baby could have and their Bundle of Joy kit is the perfect starter kit to have on hand. I recommend having one of these in the house or on vacation because you never know when something like gas (or snot!) might strike. I could go on for ages about the Lovevery Play Gym. (I actually did in this article,) but the main reason I love this play gym is its versatility and longevity. 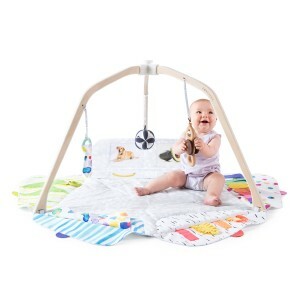 Designed with your baby’s developing eyesight and hand-eye coordination in mind, it grows with your tot and includes features that help them develop their physical strength, coordination and vocabulary. 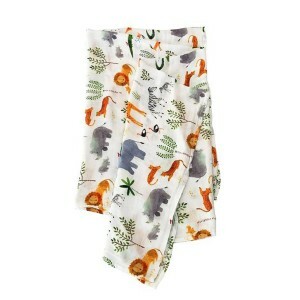 Made of an insanely soft cotton and bamboo blend, this Baby Layette provides all the basics a baby needs to keep them warm and cute wherever they may go. Since bamboo is naturally hypoallergenic and breathable, it’s a great option for newborns and their sensitive skin. As little ones get older they start to wiggle and worm, which inevitably causes their blanket to fall off of them. THEN they get cold and wake up and cry and wake you up. 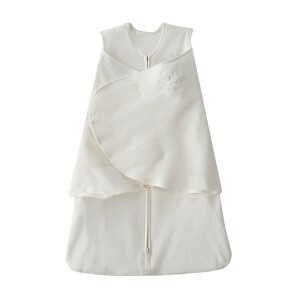 Trust me – you want the Halo organic sleepsack swaddle! It keeps tots safely tucked in all night long. Not only easy to match with any look, the Jem + Bea Denim Backpack lets you stay organized, on the go, comfortable and also keeps your hands free so you can pick up your baby.